"Double Density" led strip, has twice the number of leds over standard led strip. 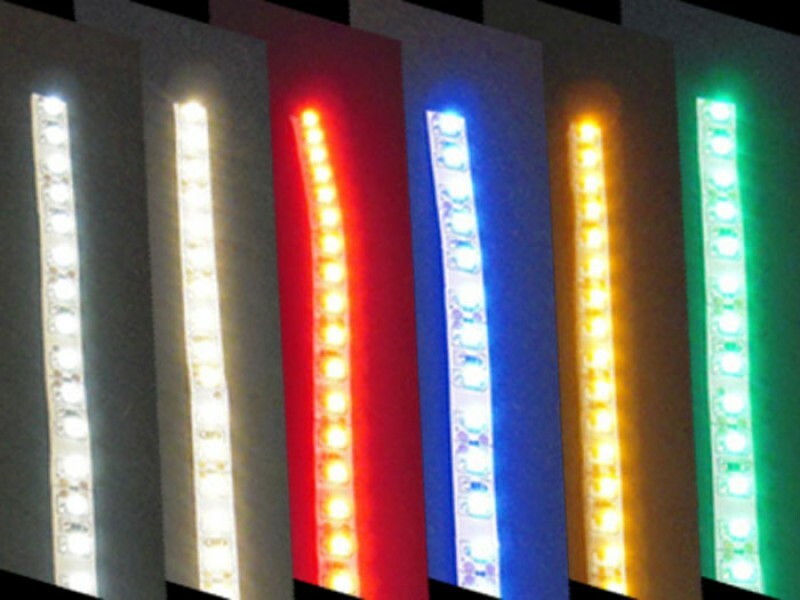 Each 30cm(1ft) 36 led strip can be cut down into 12x 1 inch sections of 3 leds. Runs on 12v @ 19ma per 3 led section. Flexible low profile strip with 3M adhesive backing.